On Monday, June 29, 2015 three high altitude balloons from Essex schools and colleges transmitted Slow Scan Digital Video (SSDV) in the 434 MHz band. The balloons, part of the educational Science, Technology, Engineering and Mathematics (STEM) initiative, were taken to an approved site at Elsworth, Cambridge for the launch. The balloon from The Boswells School, Chelmsford reached an altitude of 36,937 metres. It had the call sign BWELLS and transmitted Frequency Shift Keying (FSK) ASCII RTTY at 600 bps on a nominal frequency of 434.450 MHz USB. Balloon frequencies may vary from nominal by several kHz during a flight due to the cold temperatures at high altitudes. Stewards Academy, Harlow achieved an altitude of 39,876 metres. Their call sign was SWARDS and had a nominal frequency of 434.050 MHz USB and 300 bps data rate. The Prospects College of Advanced Technology, Basildon reached an altitude of 38,659 metres with their balloon, call sign PROSP, which transmitted on a nominal frequency of 434.150 MHz USB with a 300 bps data rate. 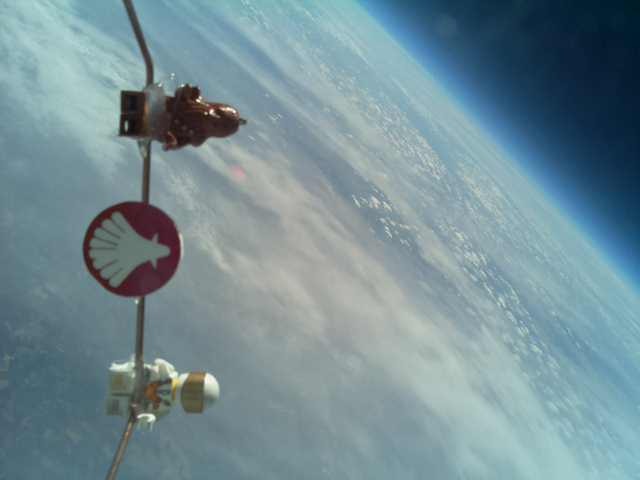 All three balloons transmitted images using SSDV. 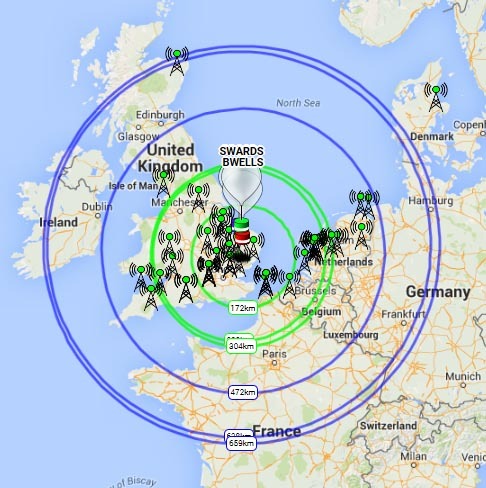 Individual packets from an image were received by radio amateurs across the UK and NE Europe and automatically uploaded to a central server with the final image being built up from all the good packets and displayed on the web for all to see. The balloon tracks were displayed live on the web at http://tracker.habhub.org/ and may still be available to view if you select the option to display the past 3 days.